To the south of Tampa on the Gulf Coast of Florida lies Sarasota, the namesake of Sarasota County that has become known as a major destination for motorcycle riders throughout Florida. Best known for being the gateway to miles of rich, sandy beaches and home to some of Florida’s lushest state parks, it’s easy to understand how Sarasota has become so popular with motorcycle riders. The center of town is just five miles from I-75, making Sarasota easy to get to. Its biker-friendly bars, including Sarasota Brewing, will make you want to stay. Just an hour south of Tampa and after the magnificent Sunshine Skyway Bridge, Sarasota makes the perfect stopping point along I-75 for motorcycle groups on long rides of Florida’s Suncoast. Connecting St. Armand’s Key and Lido’s Key to the mainland, the John Ringling Causeway is one of the most scenic routes on the Suncoast, and absolutely must be experienced via motorcycle. Sarasota is also known for its campgrounds, fishing spots, botanical gardens and the Ringling Museum of Art, all of which attract tourists and motorcycle groups. But what makes Sarasota so great for motorcycle riders is also what makes it dangerous. There is always a risk of injury when riding a motorcycle, but these factors are multiplied in places where tourists are abundant. Distracted drivers can cause accidents. Busy roads mean a higher risk of accidents and injury while riding your motorcycle. Great bars mean the risk of impaired drivers climbing behind the wheel and causing accidents. When riding your motorcycle, you’re always at risk of an accident, so be prepared in case something happens! Know who you’re going to call before an accident happens: Brad Souders, Attorney at Law – A Biker Representing Bikers. A lifelong Florida resident born and raised in Clearwater, a stone’s throw from Sarasota, Brad is the motorcycle rider’s attorney. 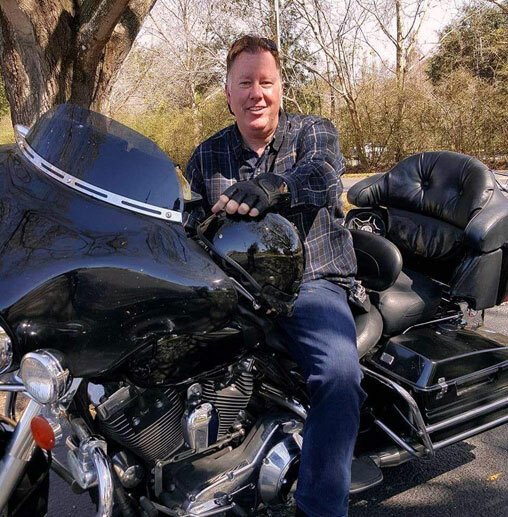 A lifelong motorcycle enthusiast, who grew up riding motorcycles and is a true biker, also having more than 25 years experience as a trial attorney representing motorcyclists. Brad has spent years exploring the roads and beaches of Sarasota on his motorcycle, and has seen the results of motorcycle accidents firsthand. By such experience, both as a lifelong motorcyclist and as an experienced award winning trial lawyer, Brad understands the personal and legal costs of motorcycle accidents. A Biker Representing Bikers is what makes Brad an attorney who understands the unique intricacies of dealing with motorcycle accident law. He is available for free immediate consultations, represents bikers at reduced rates, and has a fantastic record of success as a trial attorney. If you were injured in a motorcycle accident in Sarasota, call Brad today! You need an experienced Sarasota Motorcycle Accident Lawyer.